The BBMP council is finally in place, but the BBMP is not the only agency responsible for urban governance in Bangalore. There are many para-statals like BDA, BMRDA, BWSSB, BMTC responsible for performing the many civic functions of the city. There is a clear need for a citizen to understand the functional differences between these statutory agencies to deal with issues pragmatically. The BBMP (meaning Greater Bangalore City Corporation) is the Municipal Corporation which is responsible for the overall administration of the city of Bangalore. The BBMP was officially formed in January 2007 by merging the 100 wards of the erstwhile Bangalore Mahanagara Palike (BMP), along with seven City Municipal Councils (Rajarajeshwari, Dasarahalli, Bommanahalli, Krishnarajapuram, Mahadevapura, Byatarayanapura and Yelahanka), one Town Municipal Council (Kengeri) and 110 villages around Bangalore. 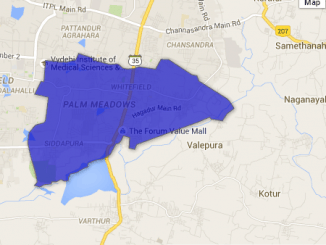 The total area of the Corporation hence increased from the 226 sq km under BMP to nearly 800 sq km under BBMP. For taking a suitable decision on a particular subject matter, the BBMP Commissioner should present the matter before the Standing Committees, constituted of a set of councillors of the Corporation. The eight Standing Committees of the Corporation are- Taxation and Finance, Public Health, Education and Social Justice, Accounts, Appeals, Town Planning, Public Works and Horticulture. Under the Karnataka Municipal Corporation Act, 1976 which governs BBMP, the obligatory functions of a corporation, amongst others, include: cleaning of public roads and places, clearing of sewage and garbage and disposal, construction and maintenance of drains, construction and maintenance of roads and bridges, pavements and street lights, solid waste management, tree planting and so on. The executive powers of the Corporation are vested with the Commissioner who is a non elected member appointed by the State government. The Mayor, who is elected by the councillors among themselves, shall preside over every meeting of the Corporation and may give direction to the Commissioner with regard to the implementation of any resolution of the Corporation or Standing Committee. For taking a suitable decision on a particular subject matter, the Commissioner shall present the matter before the Standing Committees, constituted of a set of councillors of the Corporation. The eight Standing Committees of the Corporation are- Taxation and Finance, Public Health, Education and Social Justice, Accounts, Appeals, Town Planning, Public Works and Horticulture. There is also the requirement for the formation of ward committees in every one or more wards which shall be open to public participation. The functions to be discharged by the Ward Committees include: collection and removal of garbage and accumulated water, health immunisation, improvement of slums, maintenance of statistics, redressal of public grievances and monitoring the implementation of the decisions by the Corporation. Though urban planning and development are essential functions of the municipal bodies as per the Constitution of India, in Bangalore various statutorily constituted para-statals like BDA and BMRDA perform these functions. The BDA was constituted to control, monitor, and facilitate urban development of Bangalore Metropolitan Area which correlates to the BBMP area. The BDA, which formulates the Comprehensive Development Plan (CDP) for the city, is also responsible for land use zoning, regulation and planning of land, providing sites, creating urban infrastructure and improving urban environment. In the larger Bangalore Metropolitan Area comprising of Bangalore urban, Bangalore rural and Ramanagaram districts, the Bangalore Metropolitan Region Development Authority (BMRDA) is responsible for planning, coordinating, and supervising the orderly development of land. While the Bangalore International Airport Area Planning Authority (BIAAPA) is vested with the sanctioning of land-use of the area around the new Bengaluru International Airport. Bangalore also has the Lake Development Authority (LDA) responsible for protection, conservation, reclamation, restoration, regeneration, and integrated development of lakes in the BMRDA jurisdiction. Another government body is the Karnataka Slum Clearance Board’s (KSCB) whose functions include rehabilitation of all the declared slum areas in the Urban Local Bodies of the State. Karnataka Urban Infrastructure Development and Finance Corporation (KUIDFC), which is the nodal agency for externally aided projects, has been set up to assist the urban agencies in the state in planning, financing, and providing expertise to develop urban infrastructure. The various urban services like water supply, electricity and transport are also performed by para-statals like BWSSB, BESCOM and BMTC and not the city corporation. BWSSB is responsible for the pumping and distribution of Drinking water, sewerage collection, water and waste water treatment and disposal. BESCOM is the agency responsible for power distribution in the city. BMTC which bifurcated from KSRTC, is the agency responsible for the bus-based public transport system of the city. For the larger Bangalore Metropolitan Region, the Bangalore Metropolitan Land Transport Authority (BMLTA) is responsible for the coordination of all land-transport matters. The latest para-statal that has come into existence is the Bangalore Metro Rail Corporation Limited (BMRCL) which would be responsible for the metro rail based public transport system. In addition to the city corporation and the various para-statals responsible for planning, development and service delivery functions, there are also the State Government Departments that perform service delivery and regulatory functions in Bangalore. The Bangalore City Police is responsible for the enforcement of overall law and order while one of their divisions, Bangalore Traffic Police is responsible for the manning of traffic islands and enforcement of traffic laws. The Regional Transport Office (RTO) is responsible for the collection of motor vehicle tax and the issuance of licenses to vehicles and drivers. Many other departments of the state government like Public Works Department (PWD) Revenue Department, Town Planning Department, Health Department, Education Department, Horticulture Department and so on and also play important roles in the administration of the city. The biggest issue regarding these bodies is that they do not have any locally elected representatives for consultations in their panel nor are they held accountable to the BBMP but are only answerable to the state government. Hence these bodies are not held accountable to the people of Bangalore. Moreover as per the 12th Schedule to the Constitution, many of the functions these bodies perform, like urban planning, regulation of land use, water supply, slum improvement are, are to be actually performed by the elected city government. On top of all these we also have ABIDe Task Force which, though not a statutory authority that can exercise functions, is a powerful force in city administration. Bodies like BESCOM or BWSSB do not have any locally elected representatives for consultations in their panel nor are they held accountable to the BBMP but are only answerable to the state government. Hence these bodies are not held accountable to the people of Bangalore. Multiple organs are responsible for similar tasks. E.g. The BBMP, the KSCB, and the BDA all have responsibility for the improvement of slums; PWD build houses for economically weaker sections (EWS), The BBMP, BDA and PWD are responsible for maintenance of different roads and for different infrastructure projects. However the geographical extents which these bodies administer are different and the various sub-units of these bodies have also no geographical congruence. With each agency having a different jurisdiction there is difficulty in coordinating the different civic services. What were the works done in Hagadur ward in the last five years? How much money was spent on it? What are the issues troubling the residents?